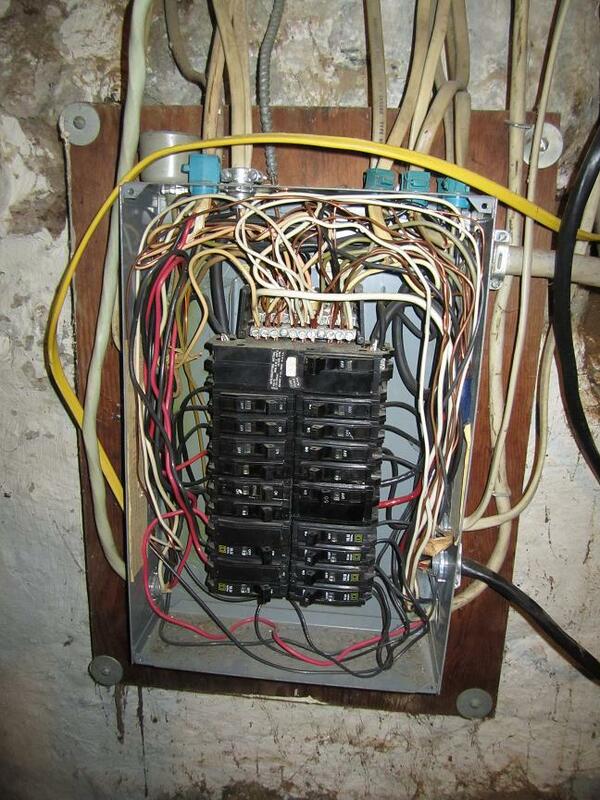 The wiring in your home originates at the main electrical panel usually located in your basement or garage area. 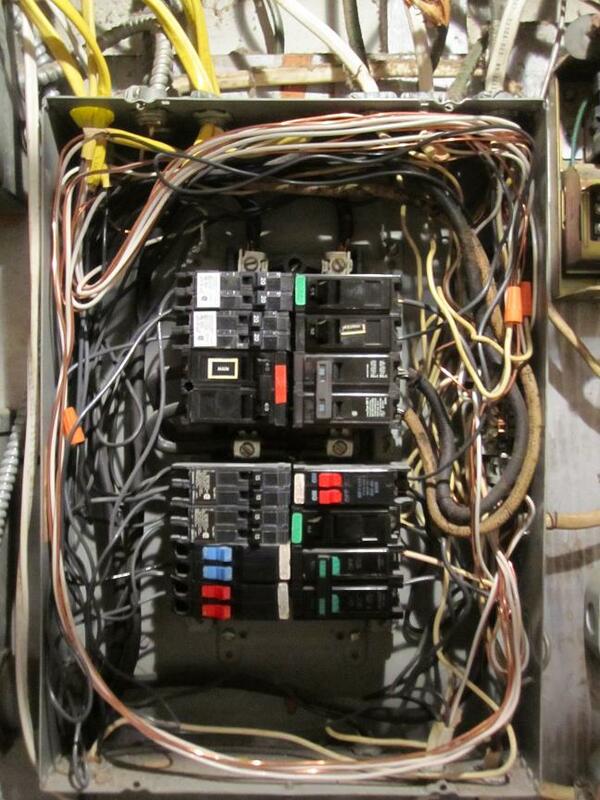 By looking at this panel, qualified electricians get a good idea of how and when your home was wired. The images below show two panels with multiple violations done by unknown. Here are some of the things we as qualified electricians look for when examining your electric service. The size of your panel 100 or 200 AMP? Do you have enough electric coming into your home? The space in your panel? 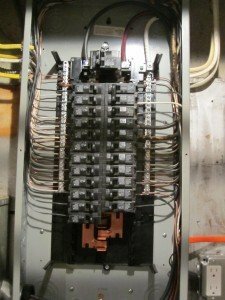 How many breakers can you put in your panel safely? 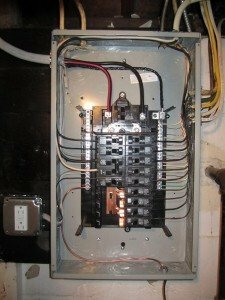 How many circuits are going into your panel? 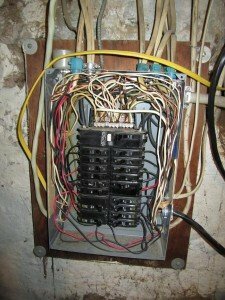 Do you have enough wiring in your home? Are the breakers sized properly? If a breaker is undersized it can cause unwanted tripping of the breaker. 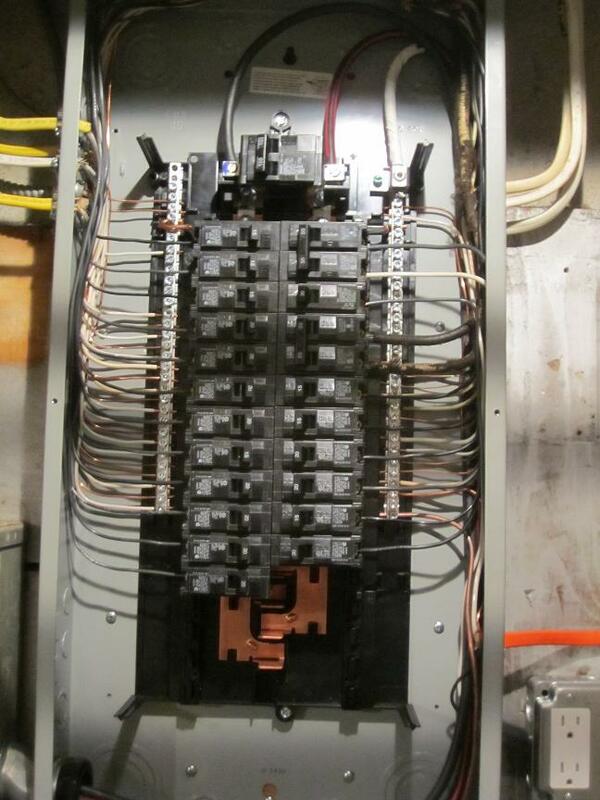 An oversized breaker will not trip when the circuit is overloaded creating possible over heating of wiring. How is your electrical system grounded? A cold water connection and ground rod to the main electrical system are essential to providing a path for ground faults and unwanted surges such as lightning strikes. Breakers are designed to have just one wire per, if a breaker is double tapped (two or more wires) it can create potential overheating or tripping. Panel manufacturers require that you use the proper breakers for their equipment. A Siemens panel is not designed for General Electric breakers and vice versa. 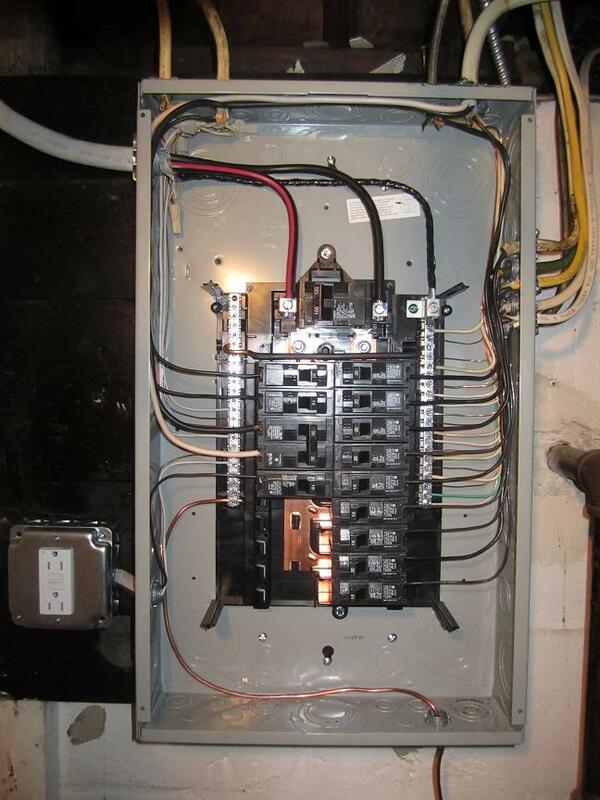 The workmanship of your panel is a snap shot of how your home was more than likely wired. 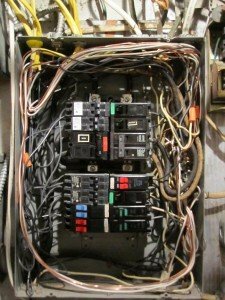 If your panel is overloaded, sloppy and undersized, we usually see the same problems with the internal wiring in your home. If an installer does not care what the wiring looks like where exposed, one can only imagine what the concealed wiring would look like. These two panels below were wired and installed by Lauterborn Electric. 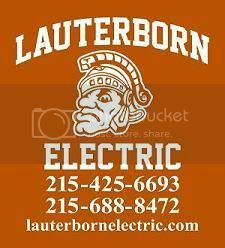 To get a good evaluation of the electric in your home contact your licensed electrical contractor Lauterborn Electric.